Facebook Groups are a powerful tool on social media that can serve a number of different purposes to help your pet sitting company. They can be an asset in finding new clients, networking with other local businesses, and becoming a driving force in your community. This week, Erika and I take a deep-dive into all things Facebook Groups to discuss how they can be used to grow your pet sitting company. Before setting up any Facebook Group, we always want to consider the logistics of the group and how you plan on running/growing it. Think about what type of community you want to build and nurture. Is it “Pet Lovers of CITY,” “Pet Mom’s & Dad’s of CITY,” or something else? Give some thought to what the description of the group is. Why should people join? What are the rules? Do you allow advertising, pets for sales, and/or negative talk about other businesses? Next, it’s time to actually create the group. You’ll need to click in the top right of your Facebook browser and select “Create Group.” From there, simply enter in your group name, add group members, and then choose the privacy setting of the group. Be sure to pick an icon and upload a cover profile as well. Click “Create” and you are up and running! 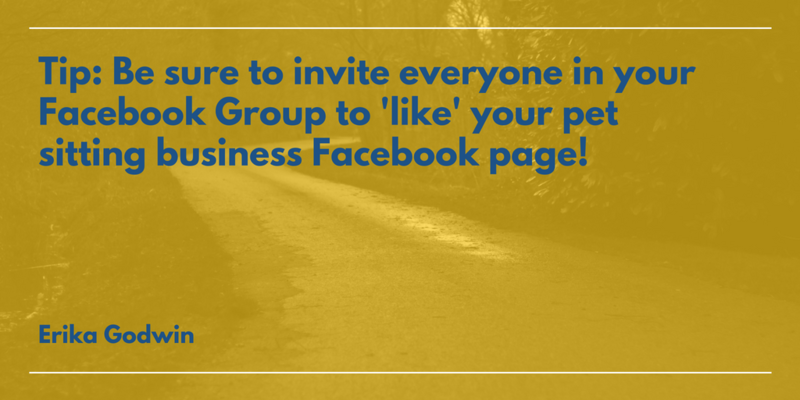 So now you have your Facebook group – but how do you grow the group? When you are just getting started, I would only invite people that you know personally until you get it built up. Get your grounding and feel comfortable. You should have this in no more than a week! You’ll then want to start thinking about the types of people you want in your group. It might be easier to attract businesses who already have a great following on Facebook in your community, and then ask them to invite THEIR community. How can you leverage the group? Use it as a conversation starter at networking meetings. You can also use it as a way to break the ice and connect with pivotal people in your city. It’s also an opportunity to do Facebook Live videos where you interview people in your community on split screen. Lastly, it’s also a place where you can post lead generations. An important step that you don’t want to forget is to research who has large Facebook pages with good engagement in your community. The best way to do this is to type your city name into the search box on Facebook, click “Pages,” and then click on “Groups.” When you find a group you’re interested in, click the page/group, and add the administrator as a Facebook friend. Try to get to know them personally whether it be through a phone call, email, or even over coffee. Share the intent of your group and ask if they would want to help by promoting your group or even becoming a moderator. In return, you might offer them a free plug of their business once a month. 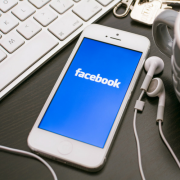 There are a few things that you want to beware of when running your Facebook group. It is critical that you lead the group and check in at least once or twice a day. Always respond to everyone in the group, and feel free to find some other Moderators to help you. Try to plan content in advance and schedule it to post (I suggest a minimum of Monday, Wednesday, and Friday). You may have to ban people that don’t follow the rules or create drama. Be willing to be a leader and keep the group on track.